For more than 40 years Arplay Medical has been active in the field of radiation oncology, providing a wide range of solutions and product lines for radiotherapy, brachytherapy and radiation protection. Arplay has a dedicated machine shop to build not only our own products but also to contract manufacture for others. In 2004, Arplay Medical joined the American Company, Best Medical International, bringing with it a new and varied range of products, in particular quality assurance and in-vivo dosimetry products for radiotherapy and radiology applications. Our goal is to work in close collaboration with the medical professionals so we can supply patients with a complete solution. 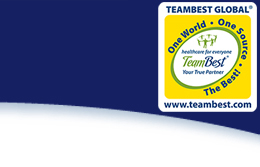 Arplay Medical is the French component of TeamBest®. We remain the manufacturer of Arplay radiotherapy, brachytherapy and radio protection products but have also become a European supplier of all products offered by TeamBest®. Click here to read about the company owner, who has also been named International Man of the Year (2016) and received the Power of One Award from the Patcha Foundation. Arplay is ISO 13485:2012 and ISO 9001:2008 certified. Each product is rigorously checked during every production stage and before packaging and dispatching. Traceability is part of our commitment to quality, as achieved for all invasive products. Arplay Medical meets your specific needs through carefully studying your queries and proposing effective solutions. Our main target is to contribute to a better quality in today's radiotherapy treatment, bringing exceptional solutions for more comfort & better accuracy through our experience and TeamBest's experience, our knowledge of the patients and mainly through our dialogs with the nursing team.